In this paper we look at the effects of file sharing software and the effects this can have on computer networks. Peer-to-Peer networks have become increasingly popular over the years. Measurements of traffic show that Peer-to-Peer has dominated certain segments of the internet. File sharing is almost certainly the most popular application in my experience dominating most computers. Peer-to-Peer generally speaking has one major advantage over conventional networks. Scalability is certainly a major impact as traditional file sharing applications worsens rapidly as the number of clients is increased. On the other hand Peer-to-Peer file sharing sites strive on the increasing amount of users. Files can be downloaded speedily from multiple users as the number of peers increases. The number of peers in a network is vital for understanding the performance of the network. In addition these networks such as BitTorrent and Limewire obliterate networking systems in schools, universities and companies therefore strict rules regarding the use of Peer-to-Peer software are implemented. Most establishments frown upon employees downloading films and music . This will make security vulnerable and cause a network bottleneck. 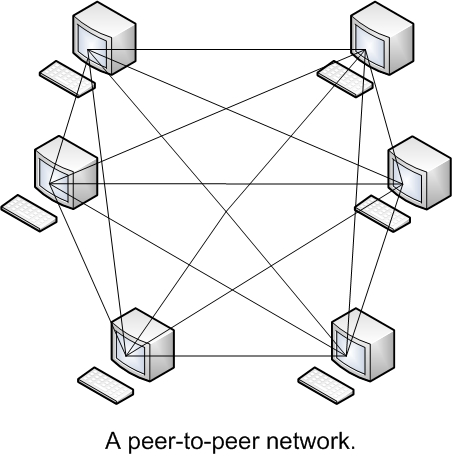 A Peer-to-Peer computer network uses connectivity between many contributors in a network. This implements the cumulative bandwidth of the network used opposed to a conventional centralised resource where servers provide the main value to a service or programme. 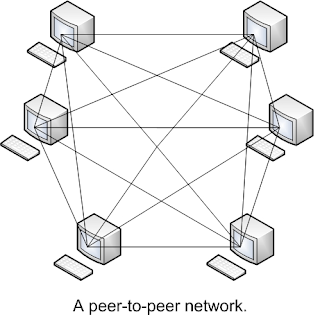 Peer-to-peer networks are mostly used for connection nodes via specific connections. Typically these networks are used for file-sharing. Usual files include audio, video, data and numerous other file types. Additionally telephony traffic is also transported using peer-to-peer processes. An example of telephony traffic includes voice over internet protocol. A typical file-sharing peer-to-peer network does not have the concept of clients or servers but only equal nodes. These peer nodes simultaneously perform to both client and servers to the respective nodes on the network. This model of network arrangement differs entirely from the client server set-up. This is where communication is from a central server. File Transfer Protocol (FTP) is a typical example of file transfer that is not peer-to-peer. Most networks and channels such as Napster employ a client-server structure for searching for files. Networks such as LimeWire 4.18.8 and BitTorrent use a peer-to-peer structure which is referred to as true Peer-to-Peer network. Napster was closed in 2003 due to legal reasons. “It paved the way for decentralized peer-to-peer file-distribution programs, which have been much harder to control." I believe this is because other Peer-to-Peer networks do not keep files on a centralized server. Networks such as BitTorrent enables file sharing anywhere in the world. This makes it very hard for law enforcers to crack down on file sharing. It all started with the file-sharing site Napster. The music industry watched as millions of users logged on to the infamous file-sharing web site to distribute MP3s for free. In 2003, the pioneer of Peer-to-Peer Napster was shut down permanently by an infringement of copyright lawsuit, but in the end would pave the way for true Peer-to-Peer networks. Peer-to-Peer file sharing was a major success with the online community. The demise of Napster only made Peer-to-Peer networks stronger. Following this Gnutella, a new variation of Peer-to-Peer file sharing network emerged. This is similar to true Peer-to-Peer networks as it does not have a centralized sever. The difference between LimeWire and BitTorrent, was the fact that Gnutella is not a software download or web site. It is a protocol for networks to allow a system of queries and responses that gives communication to computers to talk directly with each other. LimeWire is an example of software that uses the Gnutella protocol. It is there for a gateway to the Gnutella network. 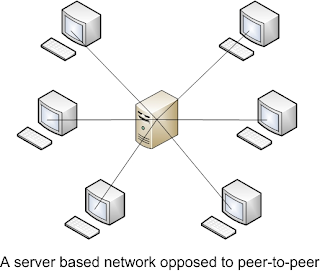 The Peer-to-Peer overlay networks consist of all the contributing peers as network nodes. There are links concerning any two nodes that know each other. For example if a participating peer has acknowledgment of the locality of another peer in the Peer-to-Peer network, then there is an intended path from the node to the destination in the overlay network. Fundamentally this is based on the method the nodes in the overlay network are linked together. Peer-to-Peer networks are categorized as unstructured or structured. Unstructured Peer-to-Peer network is fashioned as soon as the overlay links are established arbitrarily. A network can be constructed as a new peer that requires joining the network. This can duplicate existing connections of other nodes and can create its own links over time. In an unstructured Peer-to-Peer network, if a peer needs to locate a required section of data in the network, the enquiry has to be flooded all the way through the network to establish as many peers as possible that distribute the data. The major disadvantage with such a network is that searched queries may not always be determined. Structured networks utilize a globally reliable protocol to make certain that any node can easily route a search to a peer that has the required file, even if the file is exceptionally rare. Such an assurance demands a more robust structured pattern of overlay links. By far the most widespread type of structured network from my research is a hash table (DHT), in which a variation of consistent hashing is implemented to assign ownership of each file to a specific peer. Chord is a protocol used for connecting peers of a Peer-to-Peer network. The chord protocol maps a key onto a node. Both keys and nodes are allocated an M-Bit Identifier. 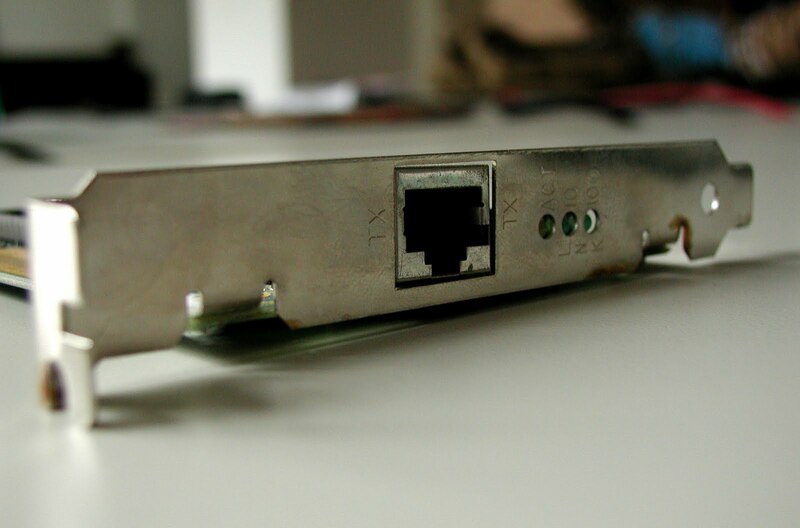 The identifier is represented as a hash computer’s IP address. There are several other algorithms associated with Peer-to-Peer. Chord is primarily based on hashing, which appoints hash keys to nodes on a network. The protocol utilizes only one operation that is given a key. It will decide the node accountable for storing the key’s value. BitTorrent identifies the pieces of a file you require. This helps speed up the process of downloading a file. In file sharing it is very common for files to be downloaded from many peers on the network. This makes file downloading efficient but uses network resources. In basic terms Peer-to-Peer uses valuable bandwidth that a critical application relies on. This means that using Peer-to-Peer at work is generally a bad idea. The worst that could happen is you get fired from your job for downloading films and using the companies resources. It has been well documented how the video sharing website YouTube has decreased the performance of universities and companies networks. This is due to the high volume of people watching videos. In some respects Peer-to-Peer downloading is much worse as network bandwidth is consumed more. Since the beginning of Peer-to-Peer networks I have always had an interest in the area of computer networking. To be specific I am intrigued in computer security in relation to these vulnerable networks. Over the years I have noticed that friends and family are using these networks more frequently. Why do these Peer-to-Peer networks still remain open. From a networking view I think people should be educated more about the negative aspect of using such software. Most viruses originate from the downloading of data on unsecured networks. In any circumstance I would not take advantage of company resources as this leads to bad practice. The single user would have little effect on resources but as the number of users increases the deterioration of the network begins. 0 comments: on "Peer-To-Peer and The Effects On Network Performance"